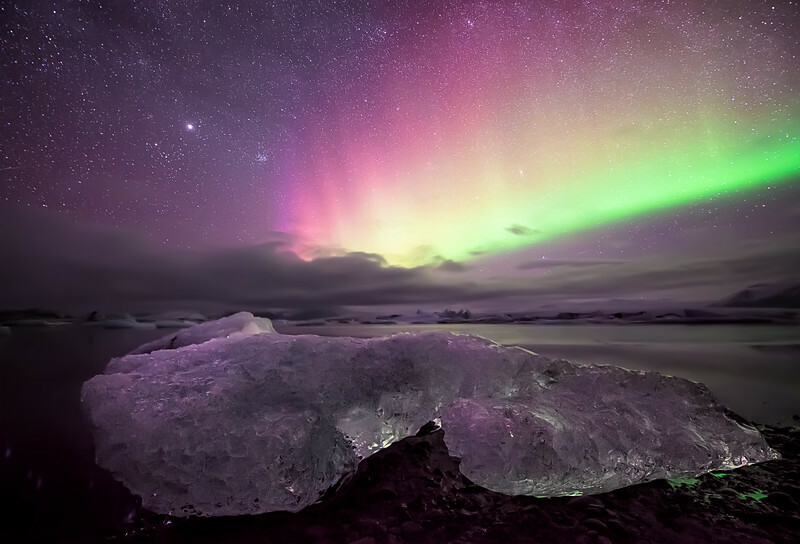 Bright Aurora Borealis over some ice on the edge of the Jökulsárlón lagoon. I don't think I've seen this one. So nice man. Love that purple and green on the front of the ice.